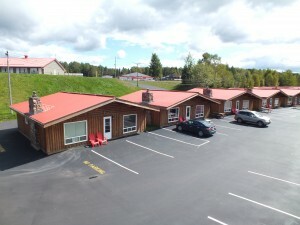 *Internet may be affected by poor weather conditions. Double Standard rooms feature two double-sized beds. 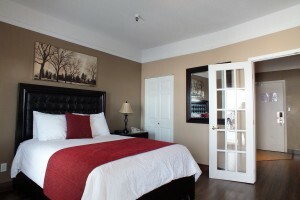 Queen or King rooms contain a single queen-sized or king-sized bed. 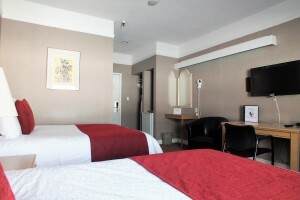 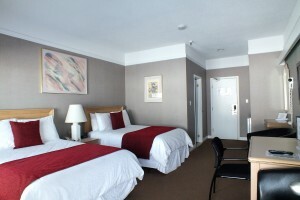 Queen Business Suites consist of a bedroom containing a single queen-sized bed. The bedroom is separated from the sitting area by French doors. 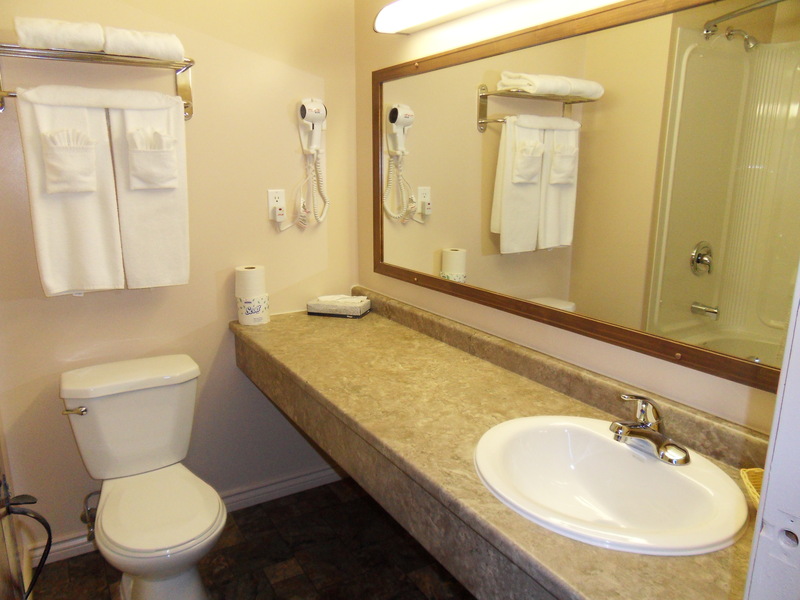 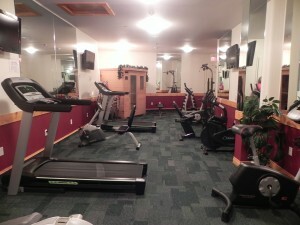 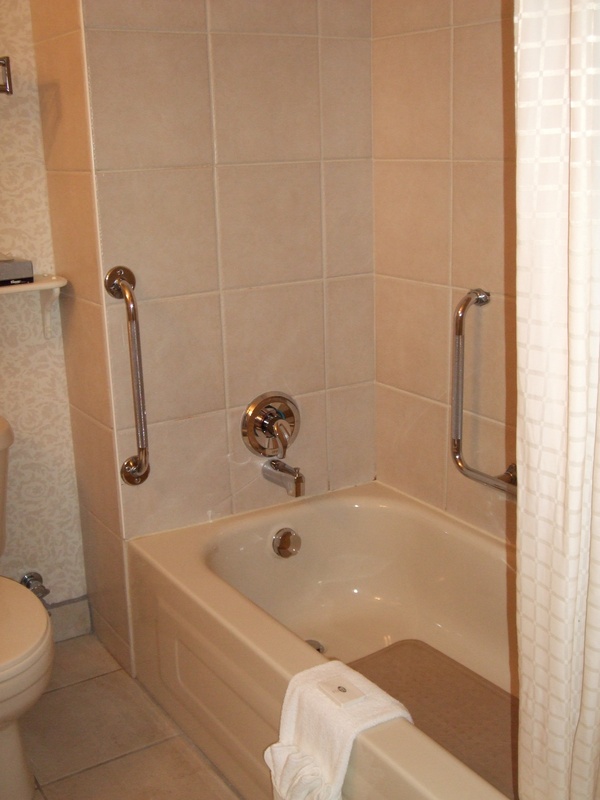 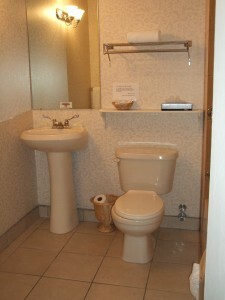 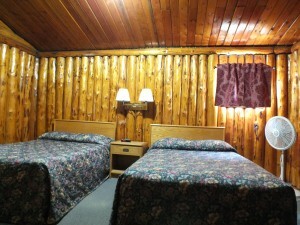 The Wheelchair Accessible room has two double-sized beds. 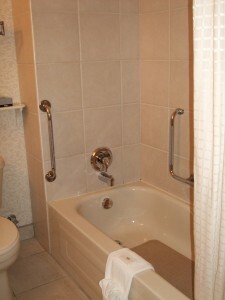 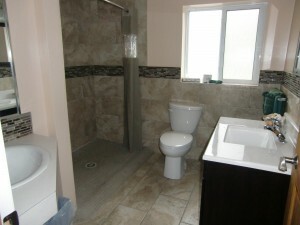 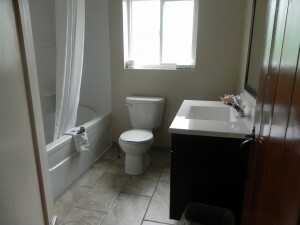 The restroom is built to code and is equipped with the necessary safety bars. 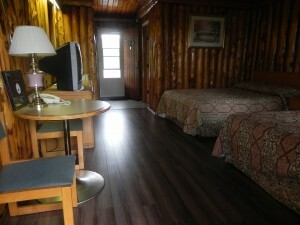 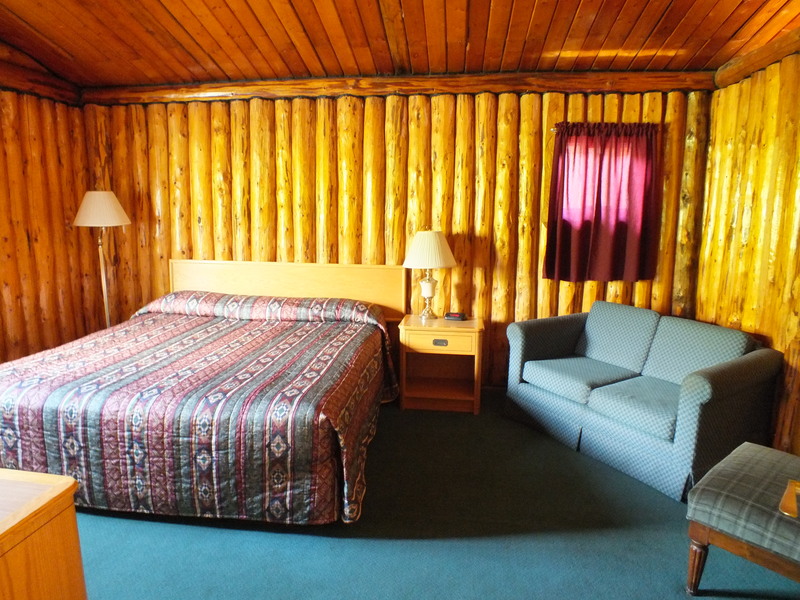 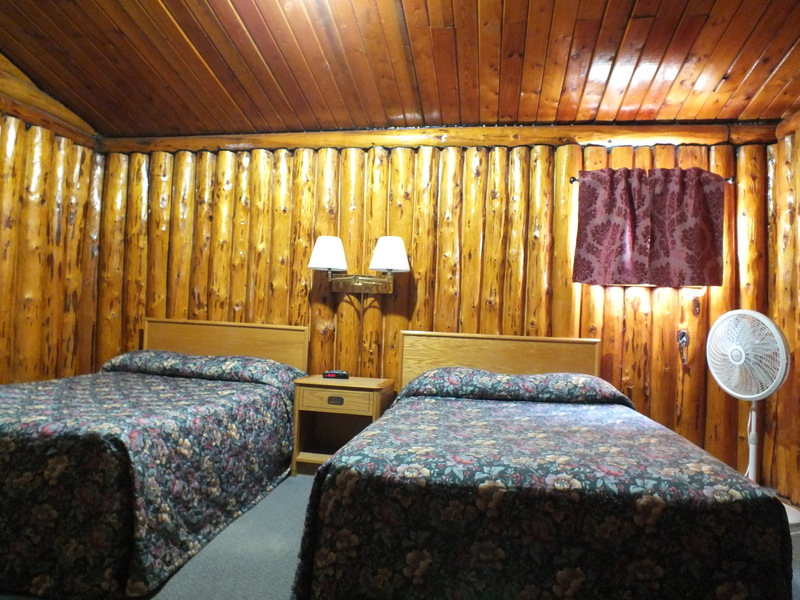 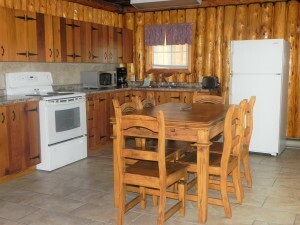 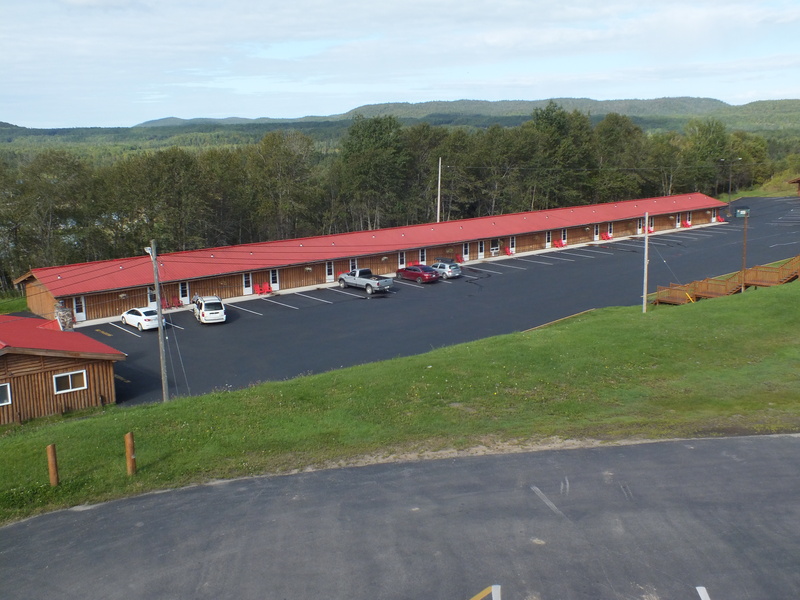 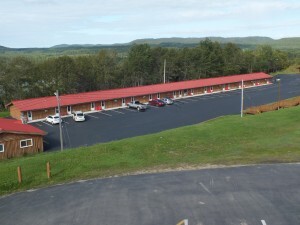 The Log Village rooms are located in a separate motel unit just down the hill from the main building. These rooms are quite charming due to the lovely Northern décor. They feature exposed log walls, two double beds, and a full four-piece bathroom. 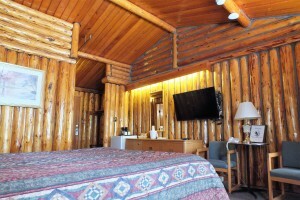 The chalets were built in a vertical log style, perfected by local log cabin builder Mickey Clement. 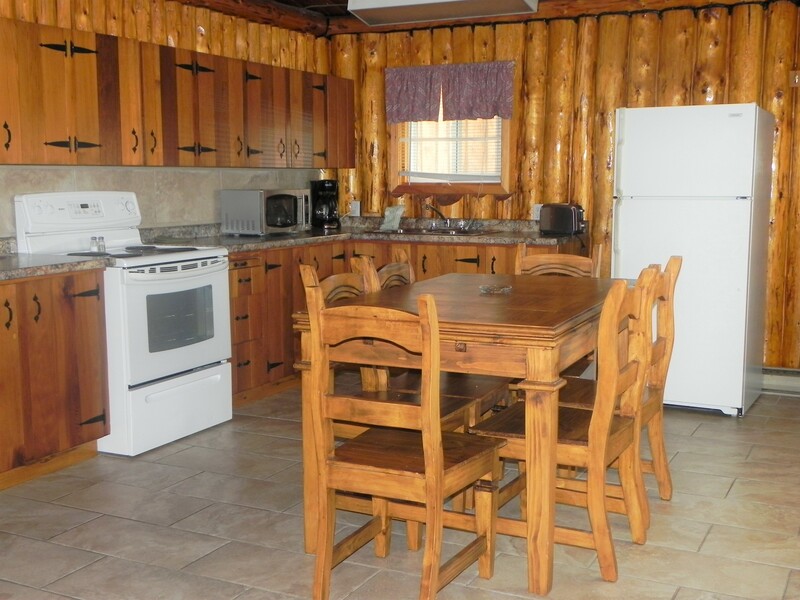 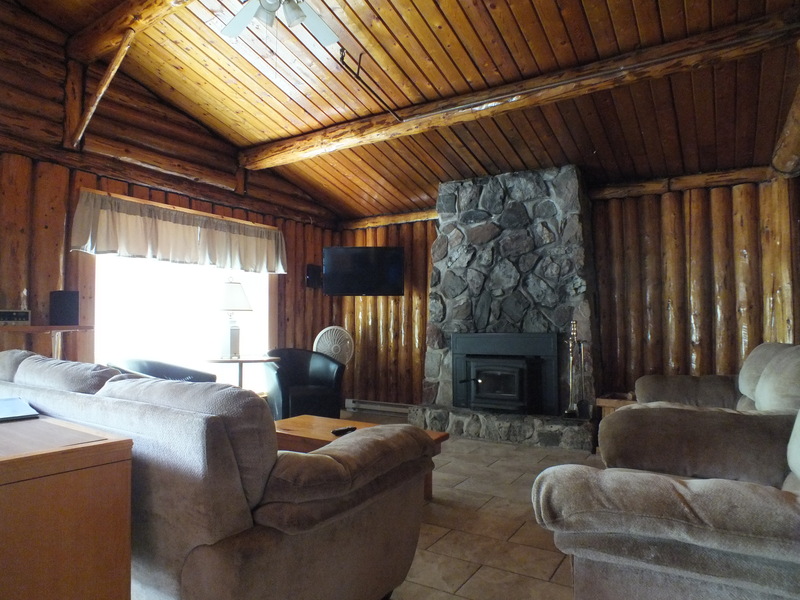 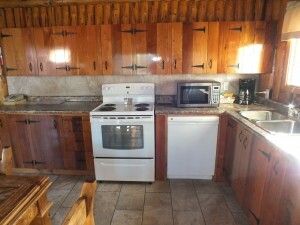 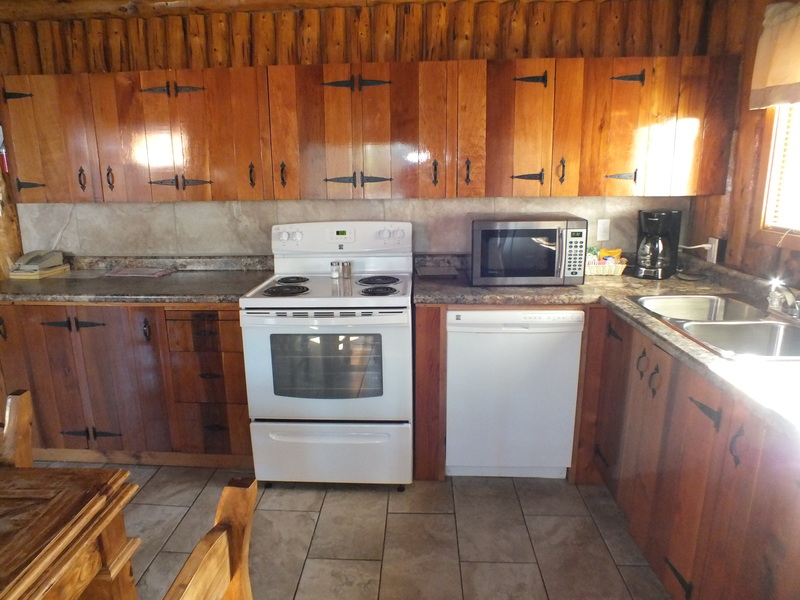 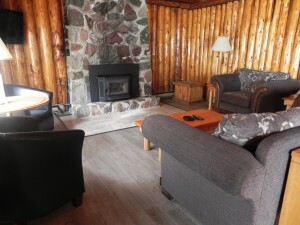 Each chalet consists of two bedrooms containing two double beds, a full four-piece bathroom, a kitchen equipped with basic cookware and utensils, and a sitting area featuring a wood-burning fireplace. Firewood is only provided from October – May. 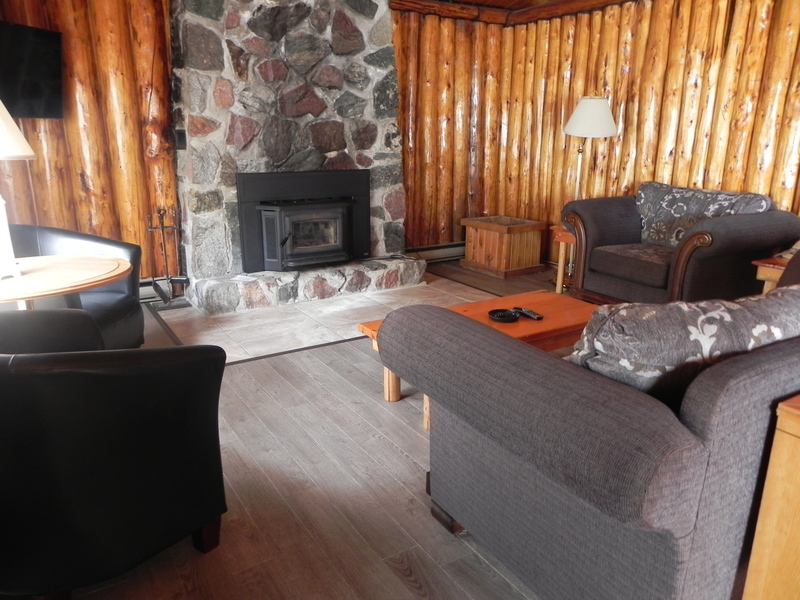 Named for the gentleman who built the chalets, this chalet consists of one bedroom containing a king-sized bed, a full four-piece bathroom, a kitchen equipped with basic cookware and utensils, and a sitting area featuring a wood-burning fireplace. 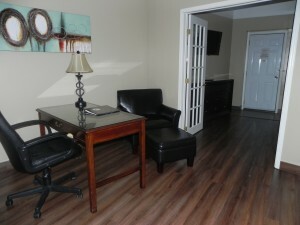 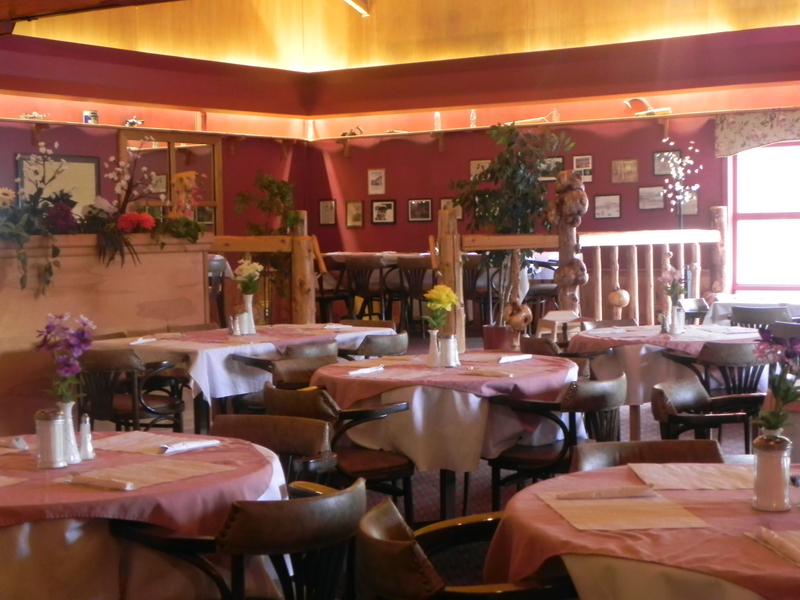 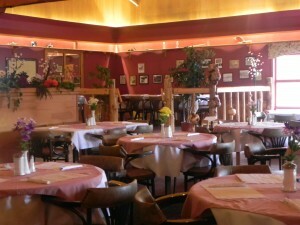 A separate area is available for meetings, additional meal seating, etc. 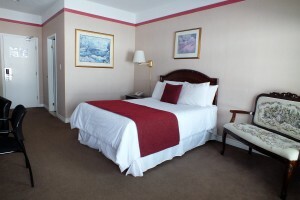 Note: An additional charge of $25.00 per evening is applied for pet stays in all room choices. 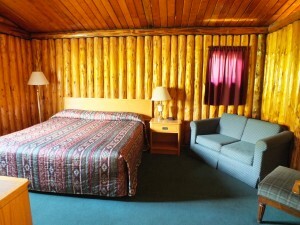 ******Pets are only permitted in select Log Village rooms & chalets.